No Oldham Council press release and no mention in our biased local press. 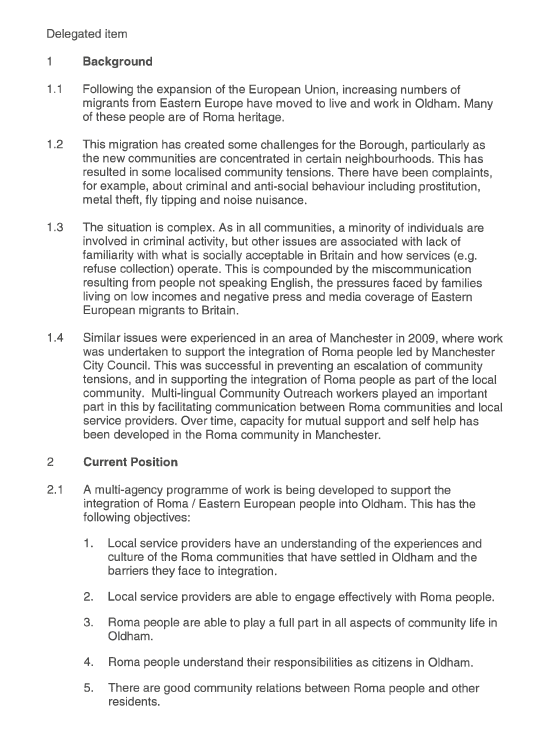 Labour Oldham Council are setting up an “Emerging Communities Team” with an emerging communities manager, a Romanian Roma outreach worker, a Czech Roma outreach worker and a new arrivals outreach worker. 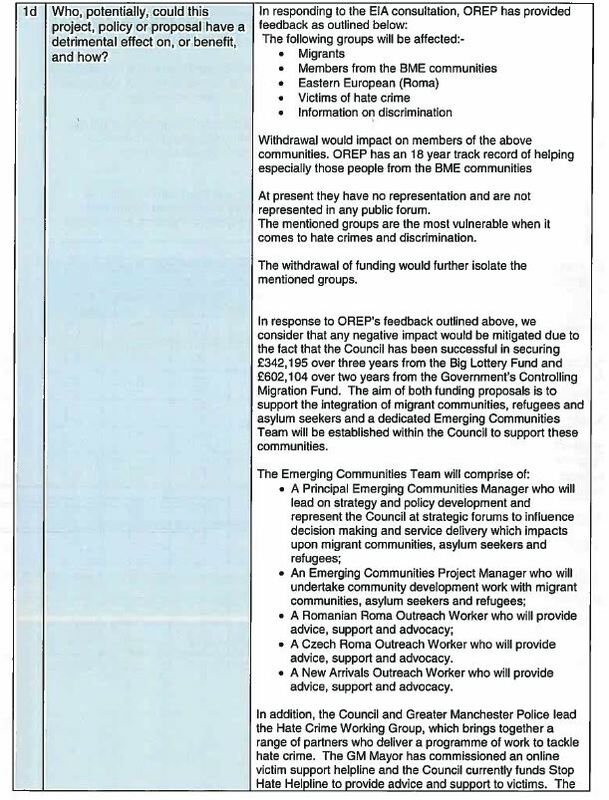 There will also be a migrant community policies group. It’s a shame they don’t also set up an Emerging Communities Crime Team to deal with the deluge of criminality from Eastern Europe that plagues central Oldham and the town centre shops and shoppers. Whatever your ethnicity or heritage this is bad for Oldham which is struggling under the weight of record migrant numbers. Oldham has no agricultural sector and a limited manufacturing sector, our health and social care sector is staffed by British nationals who make up 94% of the workforce. These socialist thought police have already decided these groups are more disadvantaged and discriminated against than everyone else and are already banding the term hate crime around. Labour Oldham and partners will seek to gag any dissent regarding what are ludicrous rates of unskilled immigration. We notice it was not classed as a hate crime when Romanians deliberately targeted the aged in Oldham with a spate of distraction thefts and thefts from person. Labour need to stop encouraging this mass unskilled immigration in a local authority area that has no workforce shortages. The negative impact on housing, schools, the NHS, jobs, crime and private investment in Oldham a borough which has just announced the loss of it’s largest private sector employer has been immense. Below are 341 local authorities who collectively house fewer asylum seekers than currently live in Oldham.